A reduction in allowances paid to disabled people in West Sussex would be ‘totally shameful’, campaigners have warned. Although West Sussex County Council is increasing its total spending in adult social care and health by £10.9m in 2016/17, it has also listed £6.5m of cuts and income generating measures within the department. A report suggests that additional income could be received from people with social care needs, as they already pay a means tested contribution towards the cost of their care, but these may increase due to rises to the state pension. She added: “WSCC is also proposing reducing allowances for additional costs such as special diets and laundry, when calculating a disabled person’s financial contribution to their care. “This will increase the amount disabled people have to pay for care when most are already on very low incomes. The report suggests that £1.9m could be saved from disability related expenditure (DRE) over the next two years. For people with non-residential care packages the financial assessment gives them an allowance of up to £25 per week on spending categorised as DRE, and around 2,500 people receive this. It suggests that when new customers are assessed a professional judgement will be made about any financial assistance for additional needs, while people already receiving the allowance will continue to do so until their case is reviewed. Don’t Cut Us Out will be asking residents about their views on the proposals prior to the budget debate on Friday February 19. Jeremy Hunt (Con, Chichester North), cabinet member for finance, explained that Government cuts to WSCC’s funding had been ‘much steeper than we could have reasonably anticipated’, leaving them with a £153m funding gap over the next four years. A 3.95 per cent increase in WSCC’s share of council tax is being proposed from April, which would add £45.90 a year for a Band D property. Two per cent of this would be purely to fund adult social care. During a Performance and Finance Select Committee meeting last week, Steve Waight (Con, Goring) suggested that leader Louise Goldsmith had undergone a ‘road to Damascus experience’ over the Christmas period on council tax increases. He went on to suggest that it was a ‘political decision’ to reduce the amount of savings needed to balance the budget. Officers explained that the overall four years savings target had reduced slightly, but they needed to be ‘appropriate and deliverable’. 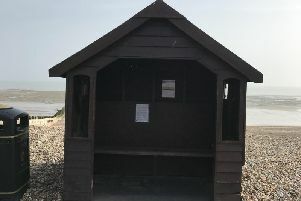 On further collaboration with district and borough councils to make savings Mike Glennon (UKIP, Lancing), leader of the UKIP group at WSCC, said he was ‘amazed and surprised’ not to see more effort. Mrs Goldsmith recognised Mr Glennon’s commitment to unitary authorities, but said thaey were looking at the situation in a different way, highlighting the prospects of devolution, and suggested there was not the ‘fat there was back in 2010’. The week before members of WSCC’s Environmental and Community Services Select Committee expresssed concerns at cuts to the highways budget. Heidi Brunsdon (Con, Imberdown) said highways and transport was the most visual of all the services that the county council provided, and said they had ‘absolutely no detail’ on how the cuts would be practically delivered.